Pioneer photographer Edward Sheriff Curtis produced 20 volumes of text and original photography in The North American Indian, Being a Series of Volumes Picturing and Describing the Indians of the United States and Alaska (1907-1930) in keeping with his gargantuan goal of recording on film, and documenting with text, all possible information on aboriginals west of the Mississippi. Curtis also wrote a frontier opera and two bestsellers, Indian Days of Long Ago (1914) and Land of the Head Hunters (1915). Volumes 9 (Salishan), 10 (Kwakiutl) and 11 (Haida and Nootka) of his series are directly related to B.C. The largest of the 20 volumes concerns the Kwakwaka'wakw. When the first two volumes of his photos were published in 1907, the New York Herald hailed the work of Curtis as "the most gigantic undertaking in the making of books since the King James edition of the Bible. "; Curtis visited 80 tribes and took more than 40,000 photographs. Believing aboriginals of Western North America were doomed to vanish provided Curtis with his mandate to generate a massive archive of images that were frequently staged for effect. In response, Métis playwright Marie Clements published her play, The Edward Curtis Project: A Modern Picture Story (2010), staged coincidentally with the 2010 Olympics, to examine Curtis' hubris. Rodger Touchie simultaneously published a non-fiction appreciation of Curtis' photos above the 49th parallel, Edward S. Curtis Above the Medicine Line (2010) to celebrate the remarkable breadth and dramatic impact of his work. Born in Wisconsin in 1868, Edward Curtis first arrived in the villages of Puget Sound at age 19. One of his first subjects was "Princess Angeline,"; the daughter of Chief Seattle. In his twenties, Curtis was a photographer for some of the world's leading scientists on a two-month scientific voyage from Seattle to the Bering Sea. This was the catalyst for his 30-year obsession with portraying the aboriginal spirit and ostensibly eradicating false notions of aboriginal life. Curtis contributed to Scribner's Magazine, and his early exhibitions at New York's Waldorf-Astoria earned him the support of Theodore Roosevelt and the patronage of J. Pierpoint Morgan. Despite these connections, Curtis' Seattle studio was chronically short of money as he struggled to complete his journeys to all tribes west of the Mississippi from New Mexico to Alaska. For 20 years Curtis was greatly assisted by the mostly unknown W.E. Meyers, a former reporter for the Seattle Star newspaper, who took notes by shorthand and assembled the narratives of ethnographic materials. Curtis' work in B.C. was also assisted by the interpreter George Hunt, son of a Tsimshian woman and a Hudson's Bay Company employee, who lived for 60 years among the Kwakwaka'wakw. In 1920, Curtis moved to Los Angeles and assisted Cecil B. Demille in the making of The Ten Commandments. Curtis died of a heart attack in 1952 at age 84. An original edition of The North American Indian sells for more than $80,000. With the gargantuan goal of recording on film and documenting with text all possible information on Aboriginals west of the Mississippi, pioneer photographer Edward Sherrif Curtis produced 20 volumes of text and original photography in The North American Indian, Being a Series of Volumes Picturing and Describing the Indians of the United States and Alaska (1907-1930). Volumes 9 (Salishan), 10 (Kwakiutl) and 11 (Haida and Nootka) are directly related to British Columbia and the largest of the 20 volumes was devoted to the Kwakiutl. When the first two volumes of his photos were published in 1907, the New York Herald hailed the work of Curtis as "the most gigantic undertaking in the making of books since the King James edition of the Bible. "; But later critics such as Ralph Maud have concluded, "One cannot help but think that his archival camera was somehow supposed to exonerate the genocide. "; Both viewpoints are valid. Believing the First Nations people of western North America were doomed to vanish rendered Curtis his self-prescribed mandate to roam the west and generate a massive archive of images that were frequently staged for effect. Métis playwright Marie Clements has published her play, The Edward Curtis Project: A Modern Picture Story (Talonbooks 2010), staged coincidental with the Olympics in the spring of 2010, to criticize Curtis and his hubris, whereas Rodger Touchie has simultaneously published a non-fiction appreciation of the remarkable breadth and dramatic impact of Curtis who visited 80 tribes and took more than 40,000 photographs. 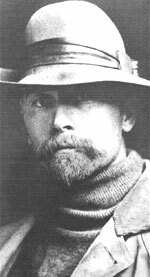 Born in Wisconsin in 1868, Edward Curtis first arrived in the pioneer villages of Puget Sound at age 19. One of his first subjects was 'Princess Angeline', the daughter of Chief Seattle, in 1895. Four years later Curtis was a photographer for some of the world's leading scientists on a two-month scientific voyage from Seattle to the Bering Sea. His journey up and down the B.C. and Alaska coastline was the catalyst for his 30-year obsession with portraying the Aboriginal spirit and ostensibly eradicating false notions of Aboriginal life. Curtis contributed to Scribner's magazine and his early exhibitions at New York's Waldorf-Astoria earned him the support of Theodore Roosevelt and the patronage of J. Pierpoint Morgan. Despite these connections, Curtis' Seattle studio was chronically short of money as he struggled to complete his journeys to all tribes west of the Mississippi from New Mexico to Alaska. For 20 years Curtis was greatly assisted by the mostly unheralded W.E. Meyers, a former reporter for the Seattle Star newspaper, who took notes by shorthand and assembled the narratives of ethnographic materials that supported and greatly enhanced the value of the images. Curtis' work in B.C. was greatly assisted by the interpreter George Hunt, son of a Tsimshian woman and a Hudson's Bay Company employee, who lived for 60 years among the Kwakiutl and also greatly contributed to the anthropological work of Franz Boas. During three seasons with the Kwakiutl, with the crucial assistance of Hunt, Curtis made one of the first made-in-B.C. feature films, In the Land of the Head Hunters, presented for the first time in 1914. Filmed mostly on or near Deer Island, it premiered on December 7, 1914 at the Moore Theatre in Seattle and was shown in Seattle and New York during the next two years. The 35 mm prints disappeared until a copy was recovered by George Quimby, curator of anthropology at Chicago's Field Museum, in 1947. Quimby and Bill Holm of Seattle succeeded in transferring the footage to 16 mm stock about twenty years later. Interviewed at age 90 in 1988, Margaret Frank was known as Princess Ommagalees when she had a starring role in that Curtis' movie at age 17. Born into the Kwawkgewith First Nation and raised near present-day Port Hardy, Margaret Frank, granddaughter of George Hunt, played the role of a princess named Naida in Curtis' rendition of a story recorded by a man she knew as "the Professor,"; Franz Boas. In the movie Naida is pursued by a shaman and a chief's son named Motana. They fight and the chief's son kills the shaman. When Motana and Naida marry, the shaman's brother raids Motana's village and abducts Naida. She is happily reunited with Motana at the end of the story. Margaret Frank recalled how her uncle stood in a war canoe, hidden behind a huge wooden thunderbird mask, flapping his arms up and down inside man-made wings, as if he was attempting to fly. Curtis stood in hip-waders at the tideline, cranking his camera on a tripod. "My mother stood up in the stern and began to dance and sing,"; she said. "Then, suddenly, the canoe hit a rock and my mother toppled over onto several others, and everyone burst out laughing. Except Mr. Curtis. He scowled and took the film out of his camera and threw it away in disgust. 'This is a serious film,' he said. He didn't want his Indians to laugh. "; This film footage has been restored. The revised and expanded version was shown in various North American locations initially in 2008. Curtis also wrote an Indian opera and two bestsellers, Indian Days of Long Ago (1914) and Land of the Head Hunters (1915). In 1919 his wife finalized divorce proceedings and received his studio and all of his negatives as part of the settlement. In 1920 he moved from Seattle to Los Angeles with his daughter Beth, assisting Cecil B. Demille in the making of The Ten Commandments. Curtis died of a heart attack in 1952 in Los Angeles at age 84. An original edition of The North American Indian sells for more than $80,000. Various reprinted editions have appeared. There are many books and at least one movie about the life and work of Curtis, The Shadow-Catcher, by T.C. McLuhan. Books and reprints include Edward S. Curtis in the Land of the War Canoes: A Pioneer Cinematographer in the Pacific Northwest, by Bill Holm and George Irving Quimby (1980) and The Vanishing Race and Other Illusions: Photographs of Indians by Edward S. Curtis (1982) by Christopher Lyman. A selection of Curtis' photos-including the cover photo of two masked performers depicting Kotsuis and Hohhuq, mythical birds in the house of the man-eating monster Pahpaqalanohsiwi-is available in Portraits from North American Indian Life (1972), with introductions by A.D. Coleman and T.C. McLuhan. Joseph Epes Brown has published The North American Indians: A Selection of Photographs by Edward S. Curtis (1972) and Barbara A. Davis has published Edward S. Curtis: The Life and Times of a Shadow Catcher (1985) with some previously unpublished photos-to name only a few Curtis sources. Some more recent books are by Barry Pritzer (1993), Laurie Lawlor (1994), Sara Day (1997) and Mick Gidley (1998, 2003). In 2000, Anne Makespeace released a documentary about Curtis' work as a filmmaker. Curtis, Edward. The North American Indian, Being a Series of Volumes Picturing and Describing the Indians of the United States and Alaska (Cambridge: Harvard University Press, 1907-1930). Joseph Epes Brown. The North American Indians: A Selection of Photographs by Edward S. Curtis (New York: An Aperature Book, 1972). Curtis, Edward. Portraits from North American Indian Life (A&W Visual Library, 1972). Introductions by A.D. Coleman and T.C. McLuhan. Holm, Bill & George Irving Quimby. Edward S. Curtis in the Land of the War Canoes: A Pioneer Cinematographer in the Pacific Northwest (University of Washington Press, 1980). Lyman, Christopher. The Vanishing Race and Other Illusions: Photographs of Indians by Edward S. Curtis (New York: Pantheon/Smithsonian Institute, 1982). Barbara A. Davis. Edward S. Curtis: The Life and Times of a Shadow Catcher (Chronicle Books, 1985). Pritzer, Barry. Edward S. Curtis (New York: Crescent Books, 1993). Lawlor, Laurie. Shadow Catcher: The Life and Work of Edward S. Curtis (New York: Walker, 1994). Day, Sara (editor). Heart of the Circle: Photographs by Edward S. Curtis of Native American Women (San Francisco: Pomegranate Artbooks, 1997). Gidley, Mick. Edward S. Curtis and the North American Indian, Incorporated (Cambridge and New York: Cambridge University Press, 1998). Gidley, Mick (editor). Edward S. Curtis and the North American Indian Project in the Field (Lincoln: University of Nebraska Press, 2003). Upham, Steadman and Nat Zappia. The Many Faces of Edward Sherriff Curtis: Portraits and Stories from Native North America (University of Washington Press, Gilcrease Museum of Tulsa: 2006). [Alan Twigg / BCBW 2010] "Photography" "QCI" "First Nations" "Indianology" "Classic"
Curtis's Landmark 1914 Silent Film of Pacific Northwest First Nations Culture-Restored, Re-evaluated, and Framed with a Live Orchestral Arrangement of the Original Score and a Performance by the Gwa'wina Dancers, Descendants of the Indigenous Cast. This collaborative project approaches the film from two distinct but overlapping perspectives: As a scholarly recovery and restoration of the original melodramatic contexts and content of the film and musical score; and as an indigenous re-framing of this material given unique Kwakwaka'wakw perspectives on the original film, its specific cultural content, and its historical context of production. The website functions as the gateway to partner institutions that are hosting public screening/performance events and related programming in June 2008 (in Los Angeles, Seattle, and Vancouver) and in November 2008 (in Chicago, Washington DC, and New York City). In addition, the site provides a thorough scholarly introduction to Curtis's film, the central role of the Kwakwaka'wakw (Kwakiutl) in its production, and the new archival discoveries that have led to its current restoration. 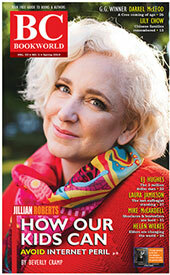 It also includes extensive media relating to the film's production as well as contemporary Kwakwaka'wakw culture. Please circulate this email widely to individuals and groups who may share an interest in Edward Curtis, film history, and First Nations. We hope to see many of you at the public events later this year.